For this recipe, I used an instant curry pack bought from supermarket. Any brand of these ready-packed curry pastes would do the job, but if you want to know which brand was used for this particular cooking, I used Singlong instant fish curry paste (*actual picture of the pack posted in my Instagram, and FB page under comment). This recipe of mine was kinda simple and quick to cook. It allowed flexibility, too. I used yogurt in this recipe instead of coconut milk for healthier option. If you prefer more authentic curry flavor, use coconut milk instead. As for choice of cheese, as desired. (1) Preheat air fryer at 160deg Celsius for 10 minutes. Clean and pat dry prawns. Add curry paste, sugar, plain yogurt and corn flour, combine well. Marinate for at least 30 minutes. 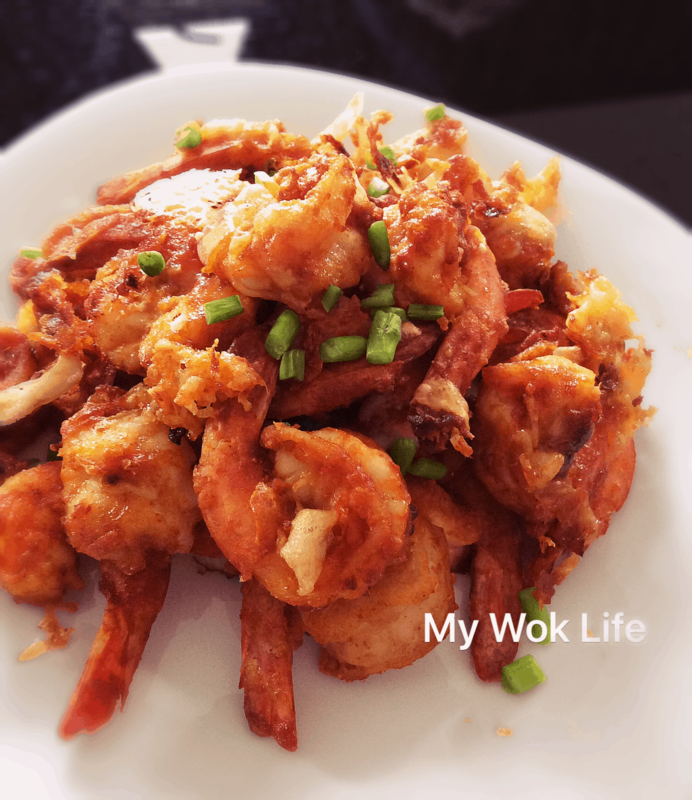 (2) Arrange marinated prawns on air fryer grill pan. Do in 2-3 batches as do not over crowd the pan. 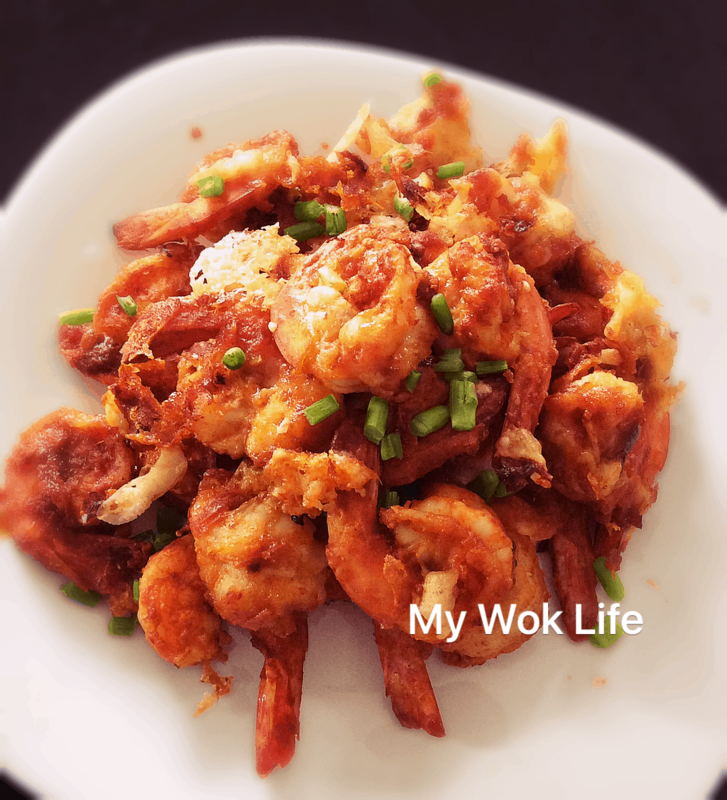 (3) Drizzle oil over prawns, and sprinkle cheese. Air fry for 8 minutes. Serve hot with steamed rice. A serving of my grilled curry prawns counts about 160kcal. Tips: You may want to lay a sheet of aluminum foil on the air fry drawer (under grill pan) to trap dripping oil from the grilling. * For plating purpose, or you need some green to the dish, add bits of asparagus onto the prawns towards the end of the air-frying process, say about 1 minute before done. * Do note that Singlong brand instant curry paste contains permitted preservative in its listed ingredients.